Technically this isn't quite a car spotlight but checking under the available categories it would appear we don't have a van spotlight so car spotlight it is ! Actually, it's not too far off a car despite it's rather generous proportions. 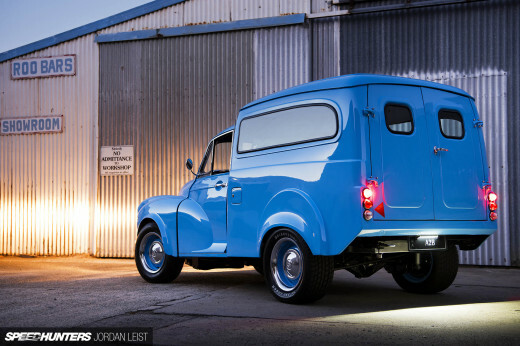 Originally built as Supervan 2 in 1984, the van is actually based on a Ford C100 race car chassis with a scaled down MKIII Transit body dropped on top. 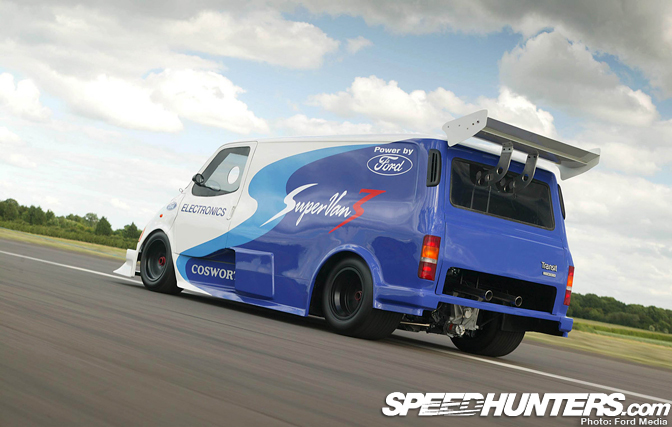 Obviously it wasn't practical to run an F1 engined van at events so the DFL was eventually replaced by a much more reliable and easily maintained Ford Cosworth Pro Sports 3000 V6 engine and unveiled as the new Supervan 3 in 1995. It also was also at this time it received the MKIII Transit shell. 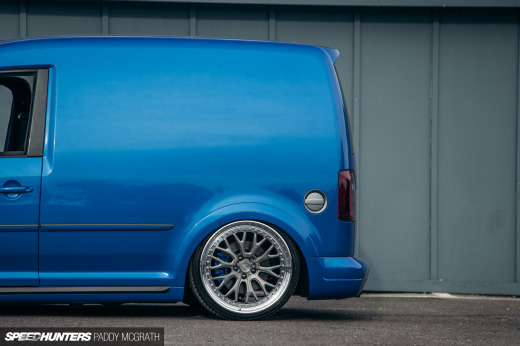 Although it's some 400 horsepower short of it's DFL engined parent, Supervan 3 still only weighs in at around 890KGs and with 250HP is still capable of a top speed of 150MPH. 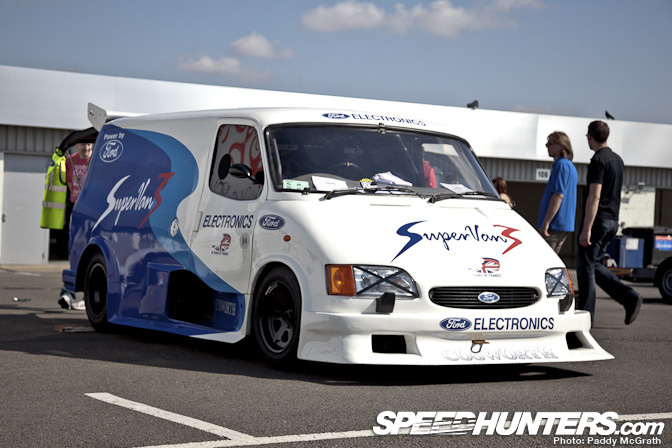 Back in it's Supervan 2 days, it was capable of lapping Silverstone at an average speed of 108MPH with a maximum top speed of 185MPH. The traditional Transit of three seats has been replaced with a centre driving position and room for one lucky passenger. 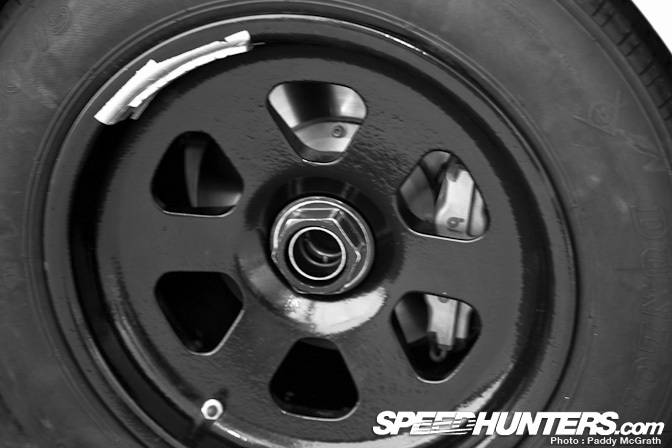 Brembo brakes with carbon discs hide behind the wheels. 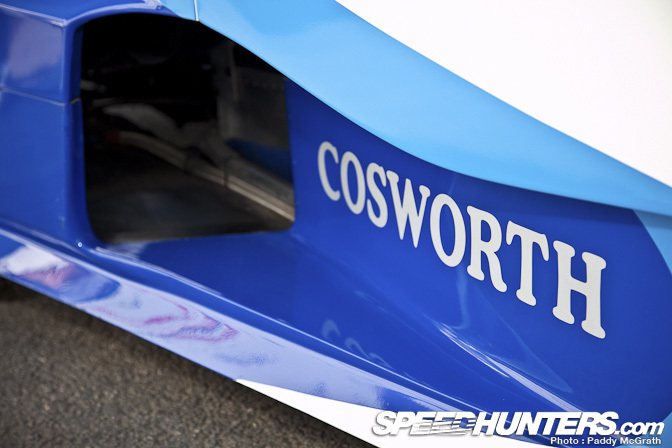 A side vent helps the Cosworth V6 to breathe. Here you can see that the V6 is perfectly midmounted with not a whole lot of company back here. 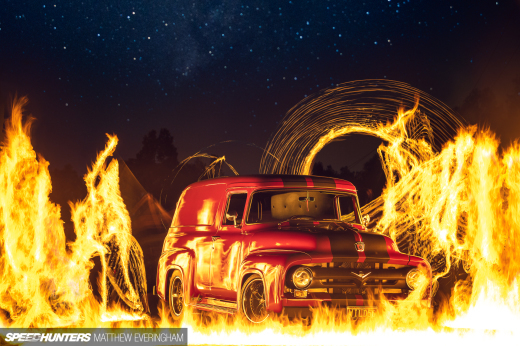 I wonder will Ford ever consider a proper successor to Supervan 3 ? I like this white Sierra in the background on the first photo. That's a really cool feature...somethin different that I've always been curious about. Would be cool to learn more about the earlier/nastier versions sometime. 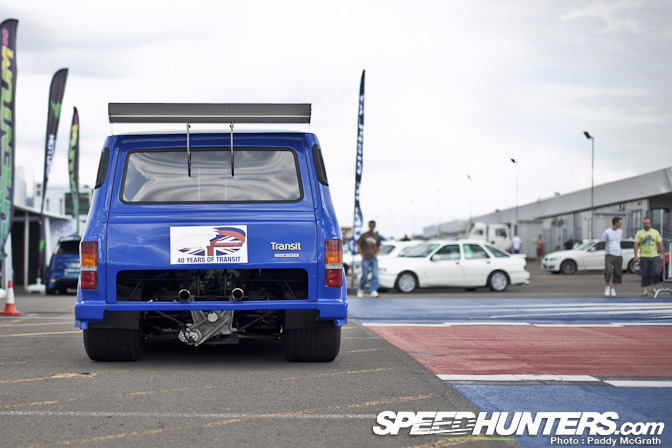 It definatley had the HB engine when Supervan 3 came out first (1995), as a response to the Espace F1. i want a wallpaper with it!!!!!!!!!!!!!!! Isn't there another Transit on a XJ220 chassis at the Goodwood Estate! 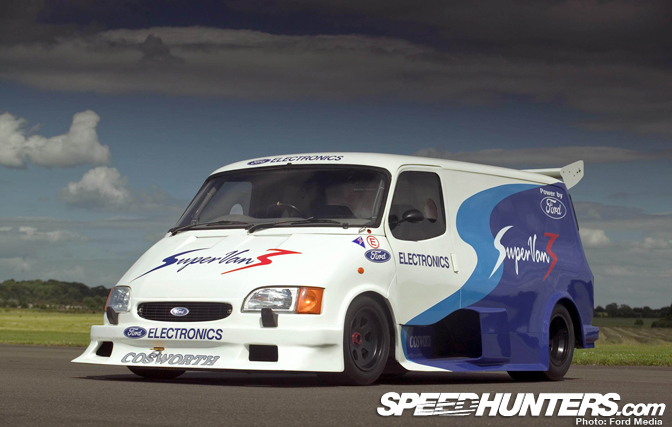 I hope ford europe makes another super van, but they dont really have the means for a race van. what big name racing series are they in over the pond that would provide a power plant for such a thing? a wrc focus engine.....in a van? LS180 there sure is one, it was recently featured in the ashes episode of top gear, it was fully loaded with the xj220 running gear and what not, it just didnt have all the aero junk like supervan 2-3.